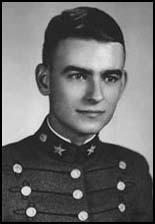 Jonathan Daniels was born in Keene, New Hampshire, on 20th March, 1939. After graduating from the Virginia Military Institute and Harvard University, Daniels entered the Episcopal Theological School in Cambridge, Massachusetts. After the murder of Jimmie Lee Jackson in February, 1965, Daniels responded to the plea of Martin Luther King to join the voter registration drive in Selma, Alabama. He attended the Selma to Montgomery protest march and remained in the area working with the Student Nonviolent Coordinating Committee (SNCC) in Lowndes County. On 20th August, 1965, Daniels was with another white man, the Reverend Richard Morrisroe, and two African American women in Hayneville, Alabama. The group were asked to leave when they entered a store to buy soft drinks. When Daniels complained about this decision, the white store-owner, Tom Coleman, shot him dead. Morrisroe was also shot by Coleman but he recovered from his wounds. Six weeks after the shooting, an all-white jury found Coleman not guilty of murder.